Why do I work with crystals? To be honest I never believed in crystal energy before I opened up to my gifts. Now I can sense their energy and they help me increase my intuition, balance me emotionally and physically, and protect me from negative energies. I notice a difference when I am in their presence and when I am not. I have them around during my tarot readings and healings. I have grown to have a mini collection to help every aspect of my development! I also have a tendency when I do healings face to face, a crystal that I have with me calls me to give it to the client to help with their healing! Crystals like any other objects or people absorbs energy. When you purchase a crystal, it will have the energies absorbed from other people or other objects prior to your ownership and a suggestion is to always cleanse them before using them because they may carry negative energies or other energies not necessarily negative that still may affect your intended purpose of the crystal. Also for empaths like myself who are sensitive to energies, you may experience headaches with newly purchased crystals. The reason could be due to the existing energy in the crystal does not mix with yours, the crystal needs to be cleansed, or you need time to adapt to the new crystal energy. Place crystals in a bowl and place under moonlight overnight. There is also a variation that it must be under a full moon. Place the crystal under running water. Imagine yourself in a white light protection bubble from God/The Creator. You are going to work with intention again, and imagine the negative energies being washed away by the water. This is a quick way to daily cleanse your crystals. I would not recommend this method the first time you purchase crystals and would suggest to use any of the longer methods. Imagine yourself in a white light protection bubble from God/The Creator. Ask Archangel Michael for his help in this cleansing. Then set the intention that you are cleansing any negative or lower vibration energies from this crystal or crystals. Ask Archangel Michael to collect any negative energy and bring it to the light to be transmuted to light. Done! The earth is said to be a natural purifier of energy. Bury your new crystal in earth for a day. The earth will absorb all negative energy from the crystal. 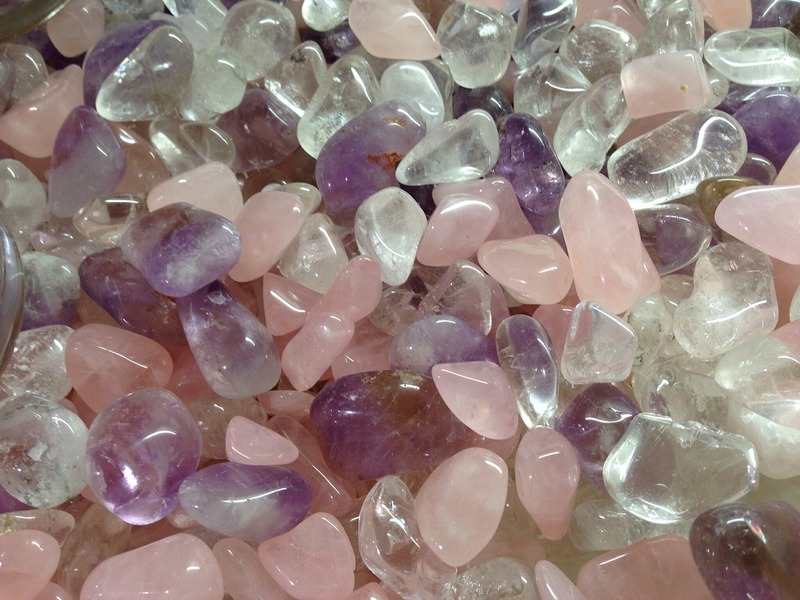 Certain crystals have healing properties that can cleanse other crystals. The most popular is the quartz crystal that you already own and have cleansed, charged, and programmed (more information on that later!). You can place them both in a bag to hold crystals together and do white light protection and set the intention that you want the quartz crystal to cleanse the other crystal. Timing depends what you feel is right for you. I would keep it overnight, but I feel it doesn’t have to be that long. I hope you don’t forget them or have trouble finding where you buried them! This method I am a little weary of because the salt may erode the crystal, but I will mention it anyway. Place the crystal in a bowl of water with a pinch of salt. Do white light protection and set the intention of cleansing the crystal in the salt water. Leave overnight. How often do you need to cleanse crystals? I usually like the most efficient way that works for me. If things can get done in less time the better I say! So I usually do the Running Water method when I first purchase the crystal and the White Light Intention daily. I do Running Water once or twice a week on all my crystals. I hope this gives a bit of introduction to cleansing crystals and helps you along your merry way! Next I will be writing an article on Charging and Programming Crystals, so hope you stay tuned! Also if you have a question on spirituality that you would like answered, or any interesting topics for articles, I welcome any suggestions! Wishing you much Light and Love!